A senior and influential traditional leader in Matabeleland South has broken rank and petitioned President Emmerson Mnangagwa to establish a special commission to deal with the Gukurahundi atrocities. Traditional chiefs are seen as an appendage of the ruling party Zanu-PF and are often used to drum up support for the party during national elections. As a reward for their loyalty chiefs are often given various gifts including brand new vehicles. In a damning letter dated October 9, 2018 addressed to President Mnangagwa, Chief Vezi Maduna Mafu of Filabusi, accused Mnangagwa of pushing a tribal agenda which has led to the economic marginalisation of the region. Chief Maduna claimed he tried several times to seek Mnangagwa`s audience "but I have been taken for granted by your inner personnel who blocked me". "The issues that I want to discuss with you are: the secret issuance of 17 Mining Executive Prospecting Orders (EPO) which costs $20 per ha/year in Matabeleland South e.g. the EPO for Lithium which covers Shapi-Mashongola-Gwatemba in Guyu-Ntepe-crossing Tuli rivers, this means we have no land as chiefs for economic devolution which you proclaimed since all mining EPOs were given to Harare guys and considering precedence mining EPOs have over any activity in that area or land (sic)," said Chief Maduna. "Grabbing of prime agriculture land using fronts like (1) Trek at Maphisa (2) Schweppes as Zhobe Dam in Beitbridge. I have information whose interest these companies are serving as business fronts at the expense of the local people". Chief Maduna also pointed out that the composition of senior public officials in the ministries of local government, information, energy, agriculture and the public service commission was a sign of tribalism at play. 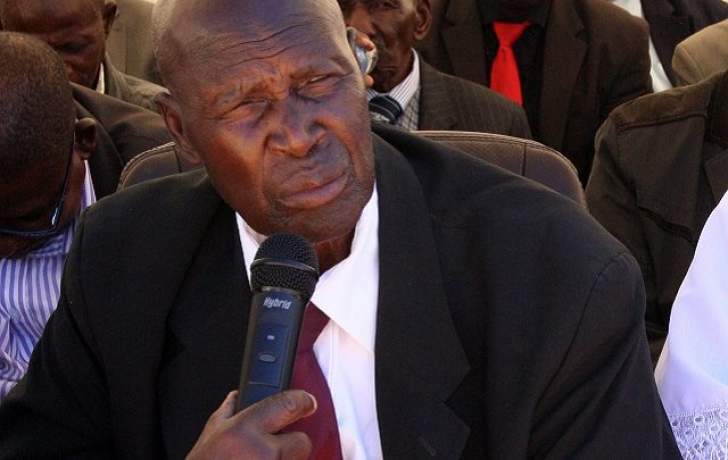 "There is no one from Matabeleland, is that how the new dispensation treats Matabeleland people after years of suffering from 1981 to 1987 Ndebele Genocide (Gukurahundi)," he said. "This has been public talk in every Ndebele homestead, kindly find time to discuss with me and my delegation issues raised in this letter". Chief Maduna continued: "To me it proves why you have been pushing for economic devolution knowingly that behind our back as chiefs you systematically and secretly took all strategic economic drives, sites and minerals in Matabeleland". Some of the issues the traditional leader raised in his missive that he wants the president to attend to include the issuance of safari permits in Matabeleland, special mining concessions for Lupane Methane Gas, relocation of the Matabeleland North Provincial Minister and Provincial Administrators offices at Mhlahlandlela government complex in Bulawayo to Lupane, among others. "All these points if taken into account make it very difficult to directly engage in dialogue over the 1981 to 1987 Ndebele massacre/Gukurahundi as these points clearly indicate a sign of no sincerity over the past unhealed wounds. These points in this petition show a continuation of Ndebele genocide this time as economic genocide," said Chief Mafu. President Mnangagwa has publicly denied his involvement in the Matabeleland massacres and recently a member of the Mthwakazi Republic Party (MRP) was recently arrested after he claimed the former murdered his parents at the height of the genocide.